Feeding time at Shakes Manor just got a lot cuter. 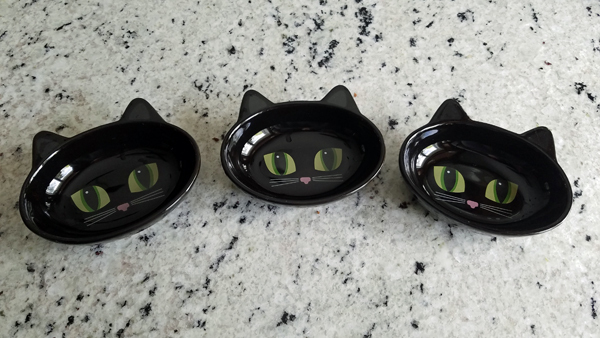 I originally got the bowls because I was tired of there never being small plates in the cupboard when we needed them, because they'd all been used for cat breakfasts and dinners, lol, and also because I wanted bowls to help contain the spillage that got everywhere from the cats pushing their food off the edges of the plates. The bowls have satisfied both requirements! 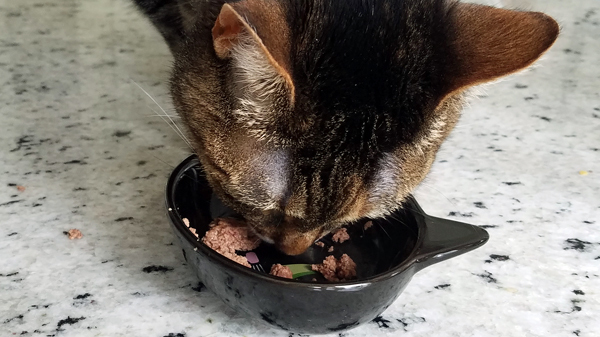 And, in an unexpected bonus, it's ADORABLE when they're eating, because it looks like they're giving kisses to the cats on the bowls. Hahaha. Cat lady enjoyments!